Since the 18th century, astronomers have been aware that our Solar System is embedded in a vast disk of stars and gas known as the Milky Way Galaxy. Since that time, the greatest scientific minds have been attempting to obtain accurate distance measurements in order to determine just how large the Milky Way is. This has been no easy task, since the fact that we are embedded in our galaxy’s disk means that we cannot view it head-on. But thanks to a time-tested technique called trigonometric parallax, a team of astronomers from the Max Planck Institute for Radio Astronomy (MPIfR) in Bonn, Germany, and the Harvard-Smithsonian Center for Astrophysics (CfA) were recently able to directly measure the distance to the opposite side of the Milky Way Galaxy. Aside from being an historic first, this feat has nearly doubled the previous record for distance measurements within our galaxy. The study which described this accomplishment, titled “Mapping Spiral Structure on the far side of the Milky Way“, recently appeared in the journal Science. 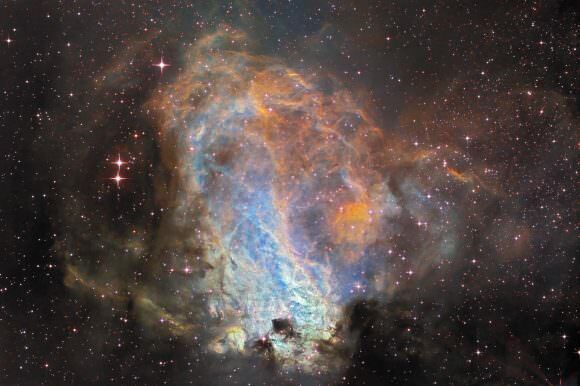 Led by Alberto Sanna, a researcher from the Max Planck Institute for Radio Astronomy, the team consulted data from the National Radio Astronomy Observatory’s Very Long Baseline Array (VLBA) to determine the distance to a star-forming region on the other side of our galaxy. 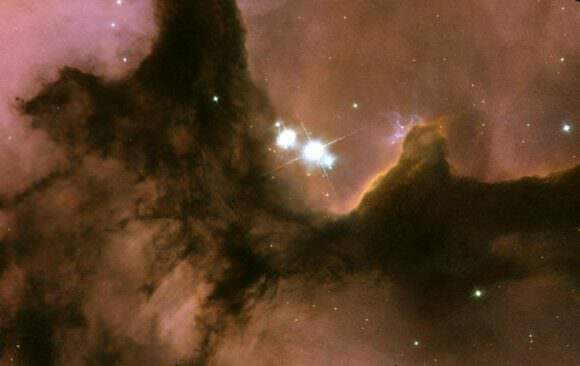 Artist’s view of the Milky Way with the location of the Sun and the star forming region at the opposite side in the Scutum-Centaurus spiral arm. Credit: Bill Saxton, NRAO/AUI/NSF; Robert Hurt, NASA. To do this, the team relied on a technique first applied by Freidrich Wilhelm Bessel in 1838 to measure the distance to the star 61 Cygni. Known as trigonometric parallax, this technique involves viewing an object from opposite sides of the Earth’s orbit around the Sun, and then measuring the angle of the object’s apparent shift in position. In this way, astronomers are able to use simple trigonometry to calculate the distance to that object. In short, the smaller the measured angle, the greater the distance to the object. 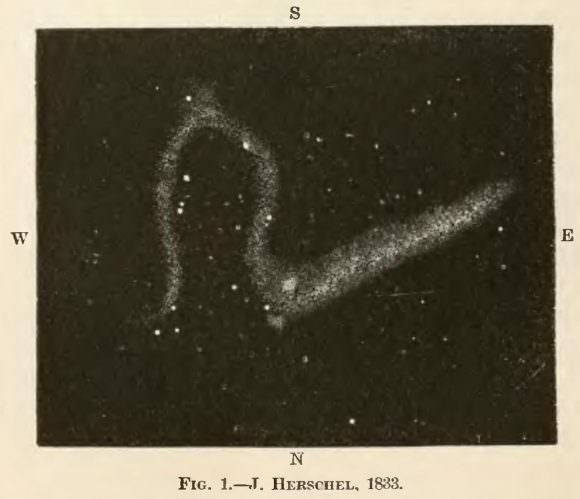 These measurements were performed using data from the Bar and Spiral Structure Legacy (BeSSeL) Survey, which was named in honor of Freidrich Wilhelm Bessel. But whereas Bessel and his contemporaries were forced to measure parallax using basic instruments, the VLBA has ten dish antennas distributed across North America, Hawaii, and the Caribbean. The VLBA observations, which were conducted in 2014 and 2015, measured the distance to the star-forming region known as G007.47+00.05. 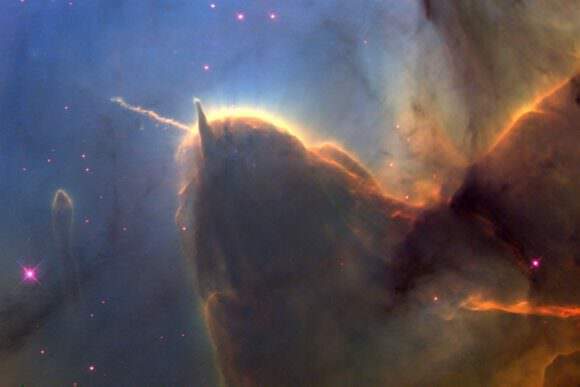 Like all star-forming regions, this one contains molecules of water and methanol, which act as natural amplifiers of radio signals. 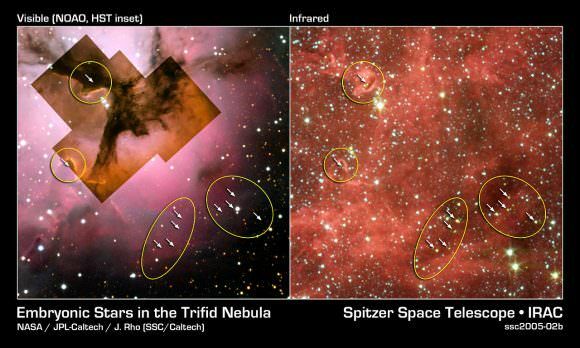 This results in masers (the radio-wave equivalent of lasers), an effect that makes the radio signals appear bright and readily observable with radio telescopes. In the coming years, Sanna and his colleagues hope to conduct additional observations of G007.47+00.05 and other distant star-forming regions of the Milky Way. Ultimately, the goal is to gain a complete understanding of our galaxy, one that is so accurate that scientists will be able to finally place precise constraints on its size, mass, and its total number of stars. With the necessary tools now in hand, Sanna and his team even estimate that a complete picture of the Milky Way could be available in about ten years time. Imagine that! Future generations will be able to study the Milky Way with the same ease as one that is located nearby, and which they can view edge-on. At long last, all those artist’s impression of our Milky Way will be to scale!